I’ve been fascinated with Josh.ai. 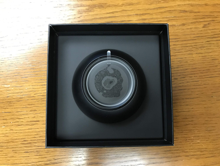 They’ve received a ton of attention from our industry trade press and produced a lot of buzz and momentum. I’m all for seeing our industry lead the charge with new solutions, but I wanted to experience these products for myself before making up my mind. Thanks to Alex and Scotty with Josh.ai, I soon had one of their Josh Micro voice controllers in my sweaty palms. Would the steak match the sizzle? I was about to find out. 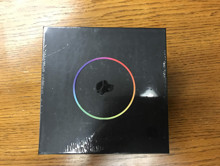 The packaging and unboxing experience is exactly what you’d expect for a design-centric company like Josh.ai. 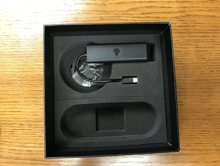 Very slick packaging reminiscent of Philips Hue or opening up an Apple TV. Everything’s in its place and it all feels well thought out. Josh.ai’s Quick Start guide is easy to read, not to mention Scotty prepared a special walkthrough sheet for me because I hadn’t been through dealer training. 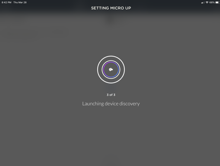 Since I’m not very good at following directions, I plugged in the Josh Micro and set about trying to set it up. Even though I didn’t read the instructions closely, setup was a snap. I really wanted to get a sense of setting up the device cold without a bunch of handholding and the Josh Micro passed with flying colors. I downloaded the Josh app and it picked up the Josh Micro quickly while the update process began. 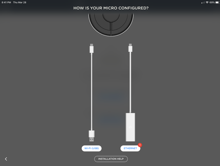 The app prompted me to continue configuring the Josh Micro through Josh.ai’s portal. 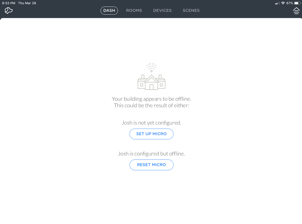 I logged into the browser and immediately saw Josh.ai had discovered most of my home technology including a Lutron lighting control system and Sonos audio. 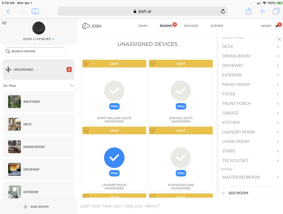 All I needed to do at that point was sort any unassigned devices into their own rooms, which Josh.ai makes really easy. So far, so good. Once I’d sorted all the devices into their respective rooms, I started playing around with Josh’s scene functionality. It’s easy to create scheduled events based on times throughout the day such as waking up or going to bed. 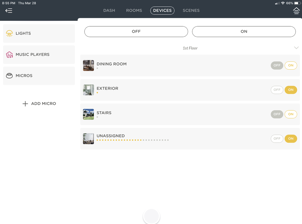 This functionality is nothing new for home control systems, but what I really enjoyed was a completely software-free experience. It’s all browser based. I ended up hopping on a call with Scotty later that day, but there wasn’t much help needed from his end since the setup was so easy. All of the Josh.ai staff I spoke with were extremely supportive and helpful. Kudos for that! If you want to configure Josh.ai as a dealer, you go to the browser. As a user, you go to the app. Very simple. Josh.ai has deep integration with Roku, so I connected my Roku 4K and Control4 system into Josh world and threw a few curveballs at it. 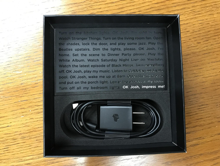 Josh easily handled my queries like “Watch Breaking Bad” or even more complex requests like “Turn off the TV and listen to Radio Paradise in the kitchen.” I figured out pretty quickly Josh is designed to easily handle matrix audio and video applications with ease (something Alexa and Google Home struggle with). 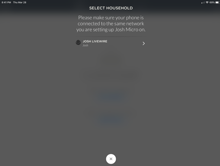 The Josh.ai browser and app experience both feature an assistant you can text or talk to. I tried a few questions with varying degrees of meaningful answers. Josh seems to be good at control and scheduled events. I didn’t see much in the way of anything predictive. I’m embracing the spirit of what Josh.ai is trying to do. From where I sit, it appears that they are at the beginning of the beginning. They want to bring Jarvis and HAL 9000 true AI to the home, but there are a few constraints standing in the way. First, it’s 2019 and AI is nascent at best. Second, the high-end home technology market is a narrow vertical, and Josh.ai has to be careful about what they support and promote. 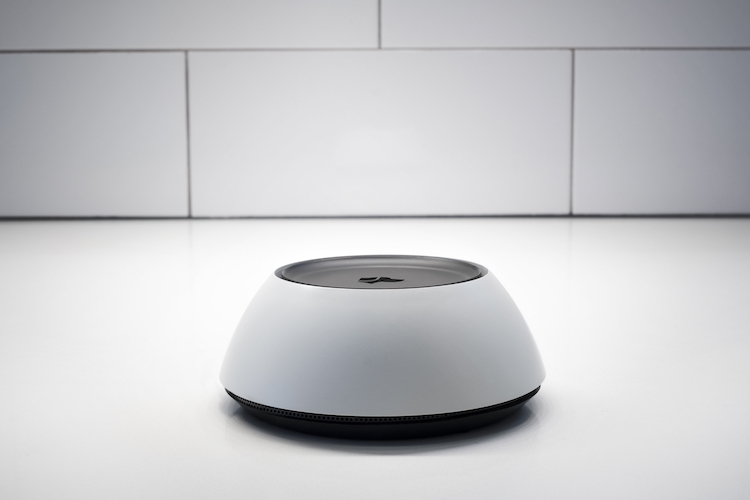 Right now, Josh.ai is an attractive voice control system with deeper integration capabilities in control systems than Alexa or Google Home. Is that enough? 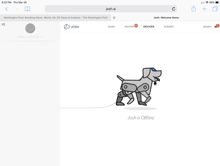 Is Josh.ai a must-have for technology integrators? We’re going to keep an eye out for clients with complex systems who want voice control and place a high premium on privacy (Josh doesn’t sell your data). I wish them all the best with their efforts and will continue to keep an eye on their products. Henry Clifford founded Livewire in 2001 to meet the growing demand for technologically integrated homes and businesses. Through hard work, honesty, and quality craftsmanship, Livewire has become the premiere technology integrator in Central Virginia. Livewire’s installation and service techs have years of experience and a wide range of technological, construction, and electronic certifications. In January 2018, he co-founded Parasol, a remote service support company.